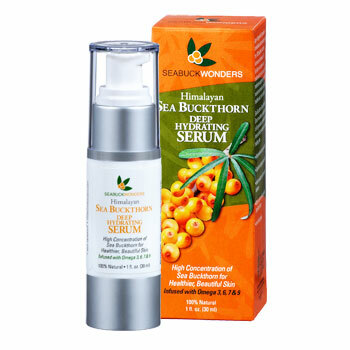 Sea buckthorn is the super fruit for your skin that contains a rare Omega-7 which balances and nourishes your skin. I prefer to be outside at all times, thus my skin takes a beating from the weather. Organic Sea Buckthorn helps to counter the stress my skin goes through from my joy of the outdoors. Infused with a potent blend of Omega 3, 6, 9, and the rare Omega-7, SeabuckWonders Exfoliating Facial Cleanser ensures not only a deep clean, but a boost to your skin’s vibrancy. Infused with a potent blend of Omega 3, 6, 9, and the rare Omega-7, SeabuckWonders’ Deep Hydrating Serum will not only moisturize skin, but also improve texture and tone. With a potent infusion of Omega 3, 6, 9, and the powerful skin-healing Omega 7, SeabuckWonders Body Lotion provides nourishment with age-defying properties for soft, healthy skin. I really like these products and think they are affordably priced for their high quality. I know many of my friends with problem skin use Seabuck Wonders products. These products score low when evaluated by the Environmental Working Group with a hazard score of one based on limited data.